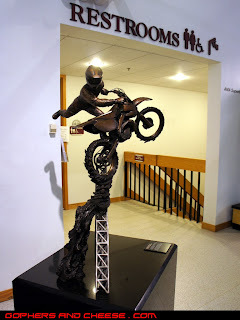 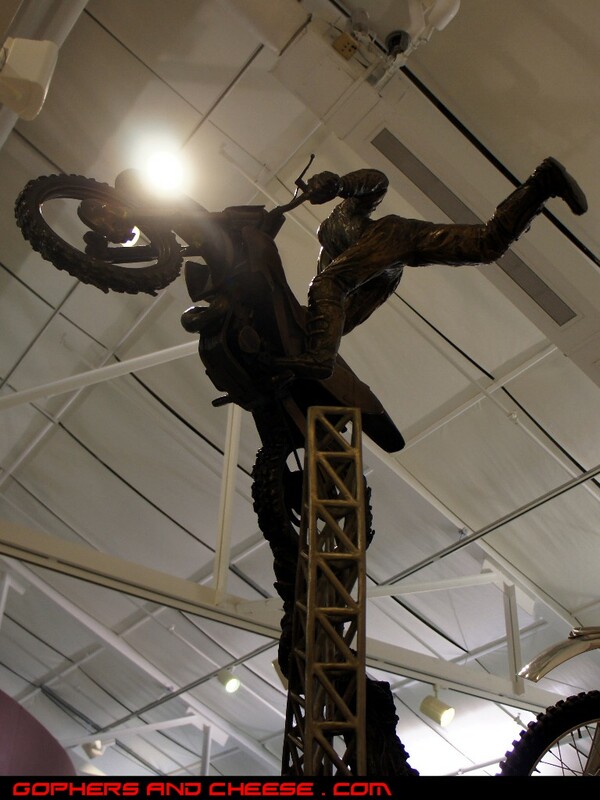 Here is a beautiful sculpture of Jeremy McGrath doing the Nac Nac into the Restrooms. 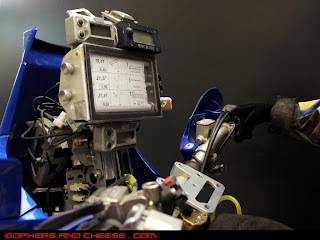 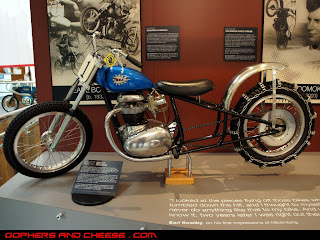 For all you guys who modify your tanks by making the skinnier, or wider, or taller, or whatever... you don't have to hide your welds or make your tank pretty to get your bike into a museum. This Harley Davidson 165 was built for racing in 1956, not to win beauty contests. 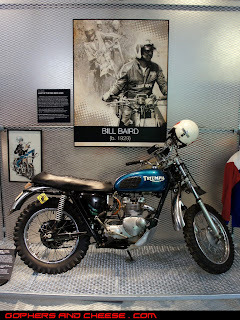 I could not believe how tall this bike was. 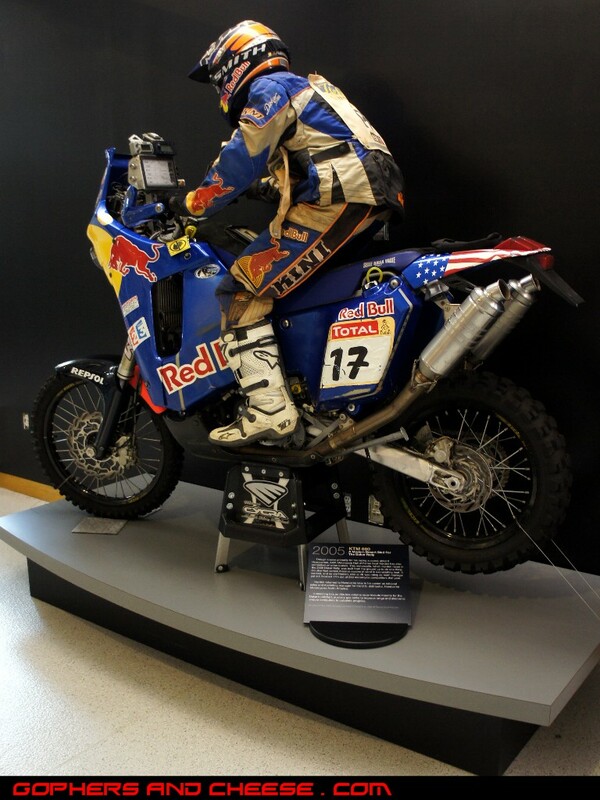 I've never ridden a dirt bike, let alone one like this 2005 KTM 600 raced in the Dakar Rally. I don't understand how you even get on the thing. 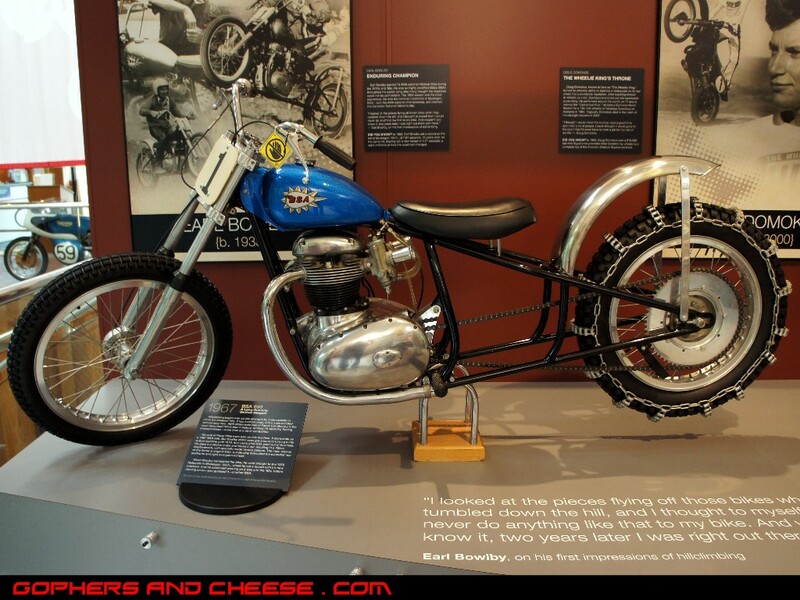 This 1968 Triumph T100C looks like a ton of fun in the dirt. 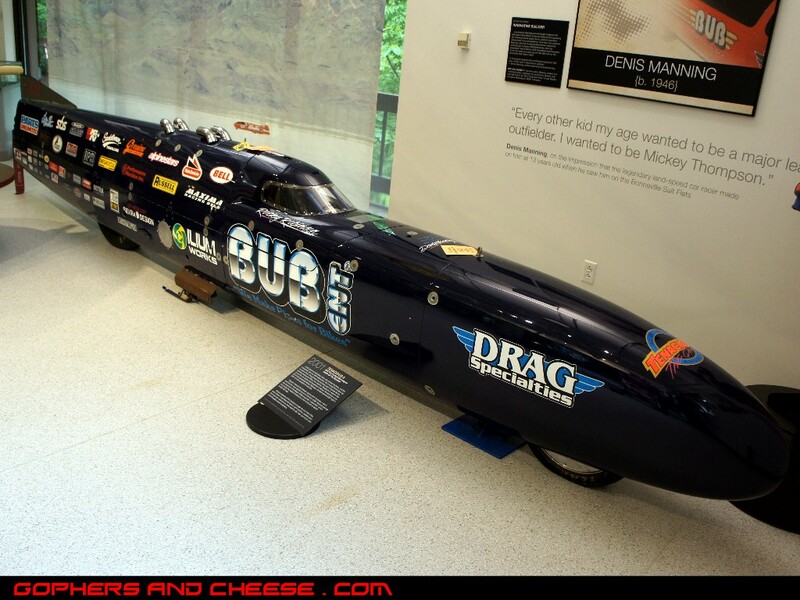 This is Tenacious II, the current land speed record holder south of the equator. 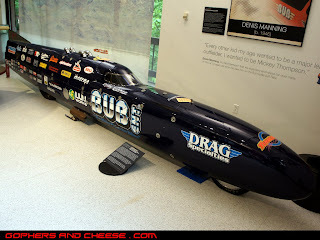 It went 297mph in 2001 in Australia. 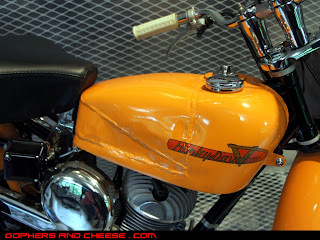 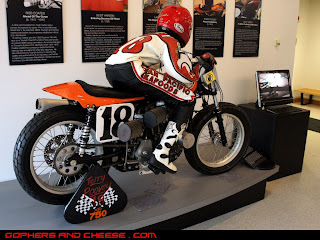 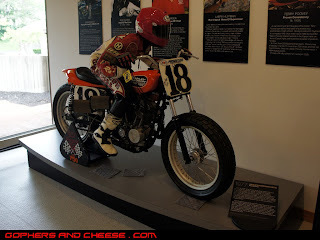 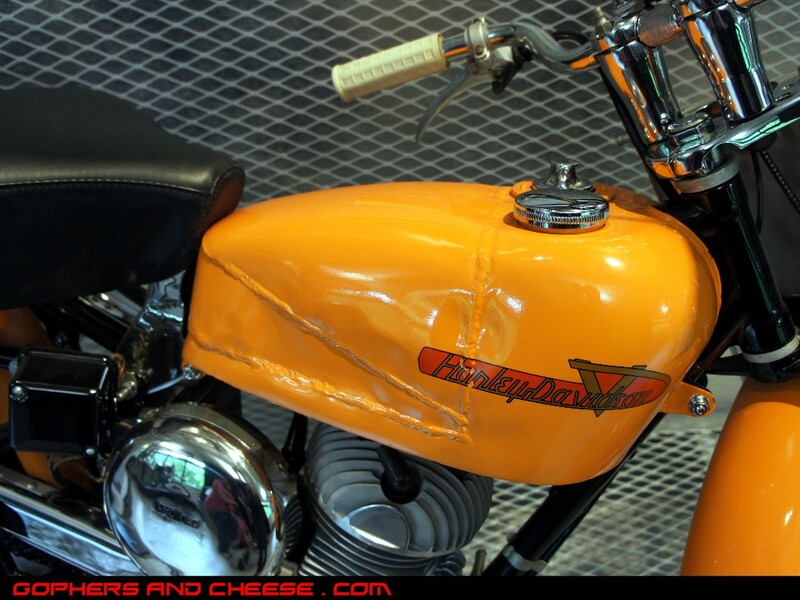 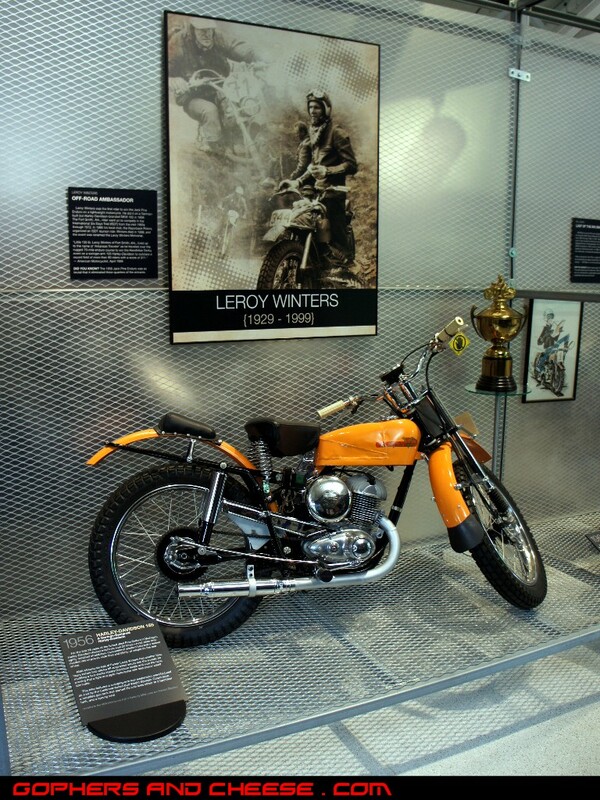 The story behind this bike (a 1971 Harley Davidson FXR) was really interesting. 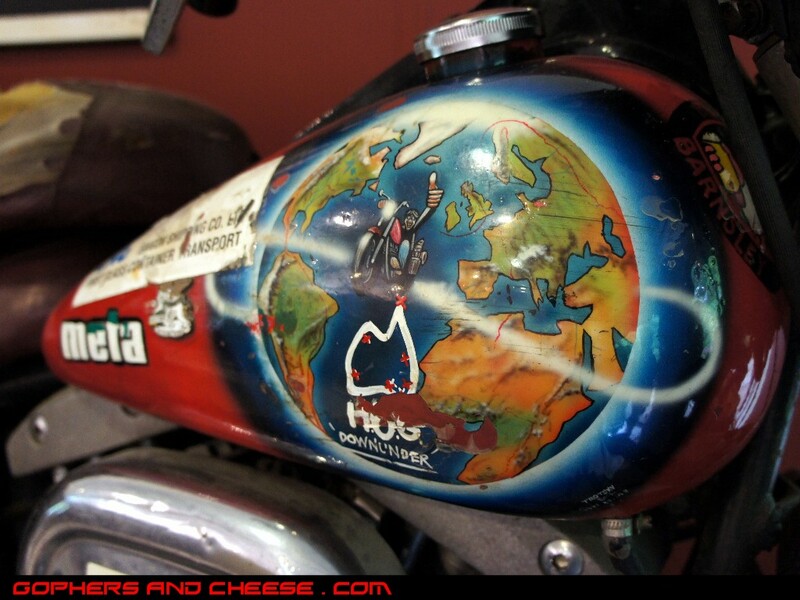 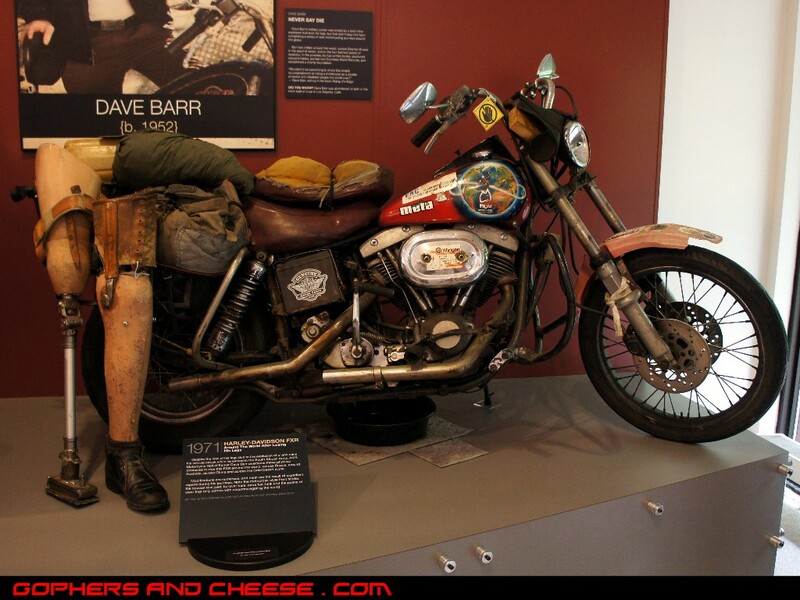 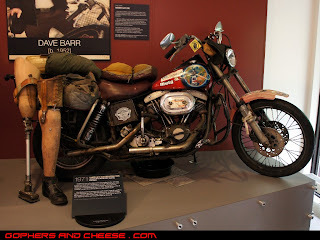 The owner, Dave Barr, rode it around the world after losing both his legs to a land mine! A 1977 Harley Davidson XR750. 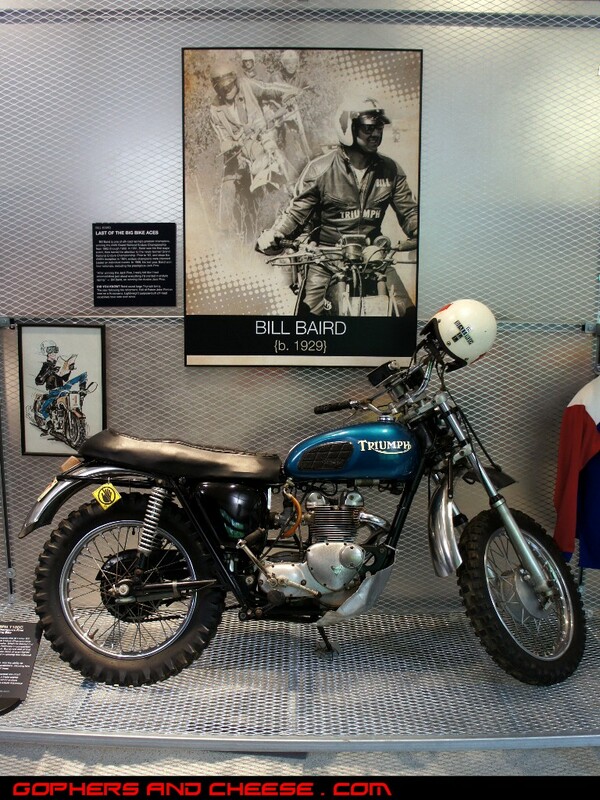 This museum likes XR750s.